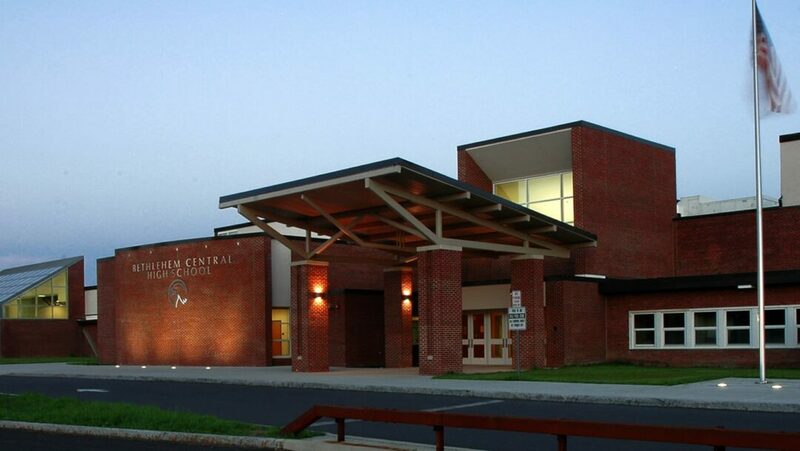 A large majority of Bethlehem Central School District students reported feeling safe, happy, and supported by teachers and extracurricular activities at school, according to a district-wide survey’s results published on Friday, Feb. 1. Almost 2,700 students across grades five through 12 took the survey back on Dec. 13, 2018, which asked 72 questions relating to school safety, how attentive teachers were to students’ problems, population diversity, sense of belonging, whether extracurricular activities were welcoming, alcohol and drug use, school discipline, and interactions among other students. First created by the U.S. Department of Education in 2016 as part of the Every Student Succeeds Act, the survey was meant to understand how students perceive the overall school climate and to help develop the district’s five-year strategic plan — to be revealed sometime this month — which would outline goals and objectives through 2024. Parents and school faculty were also given surveys with similar questions to complete between Dec. 6 and 20, which resulted in 3,784 people answering them overall. school and that teachers are available when they feel the need to talk to them. Eighty-two percent of students reported feeling happy at school and feeling socially accepted, whereas 94 percent reported that extracurricular activities are very welcoming, while 92 percent felt that they feel confident in participating in class discussions or activities. However, 55 percent reported that they do not believe students talk enough about how important it is to express and understand both their own and other students’ feelings, and 65 percent do not believe that the school is a comfortable experience all year round. For teachers, 97 percent reported feeling safe at school, 96 percent agreed that students feel encouraged to join extracurricular activities, and 95 percent said that people at school do care about them as people and not just as teachers, and they feel like they belong. Also, 92 percent wrote that they feel responsible to help one another do their best and 91 percent agreed that the district has adequate programs and resources for students with special needs or disabilities. However, just 51 percent of teachers reported that they think cyberbullying is a major issue among students. For parents, 97 percent agreed that the schools looked clean and pleasant, 92 percent reported that the district effectively notifies them or other guardians whenever there is a schoolwide emergency, 90 percent said the district ensures that students feel safe, and 85 percent agreed that their child do feel safe there. However, just 30 percent of parents reported that they hear from the school whenever their child does something good, 64 percent reported that school staff care about what families think, and 71 percent wrote that the district offers helpful programs for children with special needs or gifts. The surveys also found other general concerns among students, parents and staff, which include favoritism in class, gender bias, student vaping, requests for high school to start at a later time, and for more direct communication between teachers and parents. “Having this level of insight allows us to better identify and prioritize the most pressing needs of students, faculty and staff,” Monroe concluded. A comprehensive list of the surveys’ results is available online at https://www.bethlehemschools.org/school-climate-survey-results/.